Introduced for the 2015 model year as a replacement for the aging MP4-12C, the 650S is already available in five flavors. There’s the regular Coupe and Spider for those looking for a fast and good-looking entry-level supercar, the Sprint for amateur racers, and the more extreme GT3 for enthusiasts wealthy enough to afford a profession motorsport team. The newly launched 675LT brings more horsepower, improved aerodynamics, and a healthy dose of F1 GTR "Long Tail" heritage to the table. And I didn’t even mention the number of unique features customers can have via McLaren’s own customization arm, MSO. But despite having so many options to choose from, the 650S just isn’t as unique as some supercar aficionados would like. 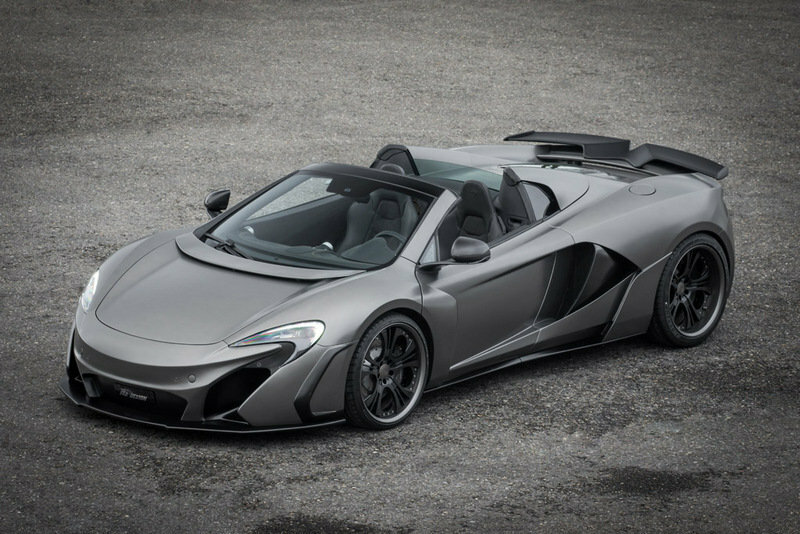 Fortunately for those too picky to live happily with a stock 650S or any of its factory iterations — I know I would be — the folks over at Fab Design have crafted a bespoke package that makes McLaren’s new supercar a bit more special. Better known for modifying Mercedes-Benz products (including Maybach,) Fab Design is also one of the few aftermarket brands to meddle with past McLaren products. Having already launched updates for both the MP4-12 and the SLR McLaren, Fab Design has launched the VAYU RPR, a comprehensive package that turns the 650S Spider into a supercar McLaren’s MSO division can’t build. 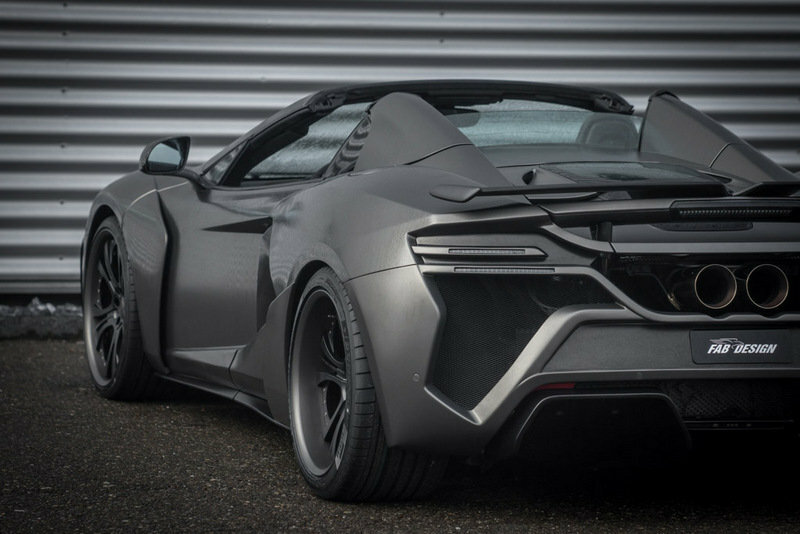 Continue reading to learn more about the McLaren 650S Spyder VAYU RPR By Fab Design. While most tuning shops do very little to alter a supercars’ appearance, Fab Design went ahead and built an extensive body kit that includes wider front and rear fenders, new side skirts, enlarged air intakes for the front spoiler, a new wing, and a larger rear diffuser. Modifications begin up front with a reshaped nose that now features a deep crease below the trunk lid and an additional, center-mounted grille for enhanced cooling. Down below, a revised splitter provides more downforce. 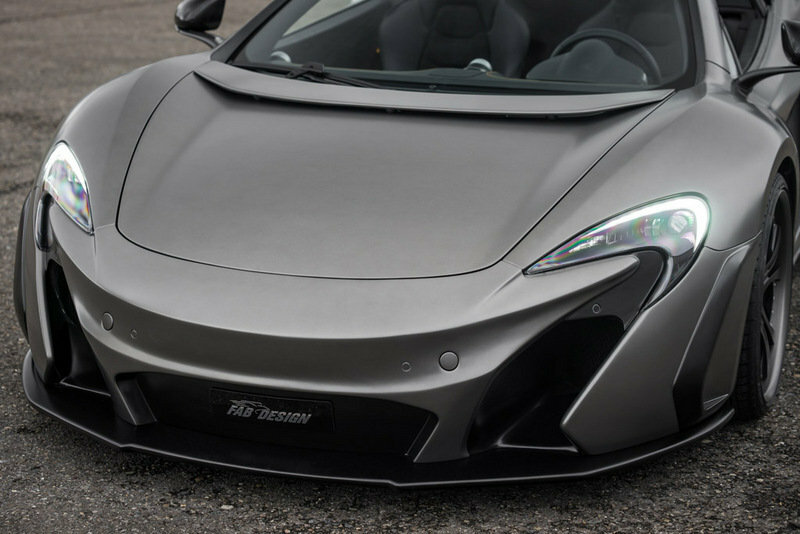 The fenders are significantly wider than the standard 650S’, giving the car a more menacing stance. The new side skirts contribute to the car’s racier appearance as well. Around back, Fab Design reworked every detail of the rear fascia. 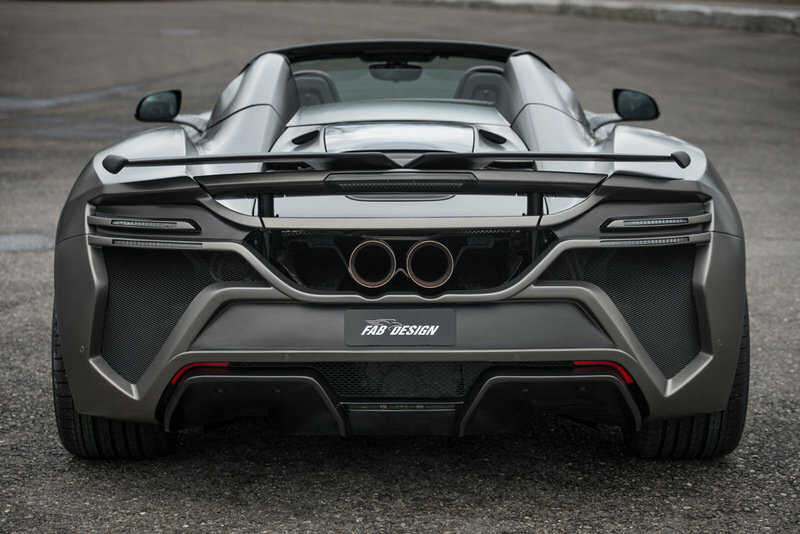 Massive air vents were added underneath the taillights, which are also new, while the center section is completely different than the standard 650S’. The rectangular exhaust pipes have also been replaces by a pair of two round outlets similar to those on the McLaren P1 GTR. 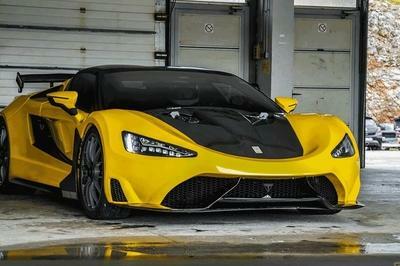 A massive diffuser alters the supercar’s design even more, while also generating more downforce. Lastly, the airbrake on top of the engine hood received a fixed wing for improved aerodynamics. Rounding off Fab Design’s package for the 650S is a set of 20-inch, forged rims wrapped in Dunlop tires. Although the package is showcased on the 650S Spider, Fab Design says it’s is also available for the MP4 12C, both Coupe and Spider. The package comes with the same features, meaning 12C customers can update their supercars to look exactly like the 650S VAYU RPR, with P1-style headlamps and redesigned bumper. Needless to say, this is a great way to get a 650S without actually buying one. Interior updates are said to be equally extensive, but since Fab Design has yet to provide any actual photos of the cockpit, you’ll have to wait to see them. 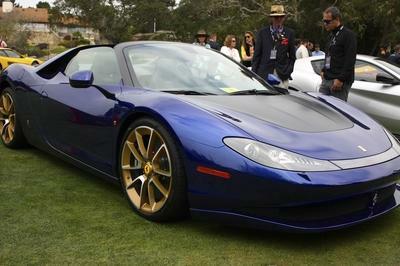 The company claims the cockpit received more refined materials and a range of new parts, starting with new sports seats and revised steering wheel, both of which are wrapped in "selected leathers." Additional carbon-fiber components set the VAYU RPR apart from its standard siblings, as do the bespoke aluminum pedals. The FAB logos embroidered in the headrests and floor mats are there to remind customers they’re driving a special 650S. All told, the interior of the VAYU RPR sounds like a great place to be, not surprising given Fab Design’s past McLaren projects. Although Fab Design chose to not meddle with the 650S’ drivetrain, its custom exhaust system adds 32 horsepower. The bump takes the rating of the twin-turbo, 3.8-liter V-8 up to 672 horses, making it slightly more powerful than McLaren’s recently introduced, 666-horsepower, 675LT. The new output and updated aerodynamics should help the 650S’ 0-to-62 mph sprint drop from 3.0 to 2.9 seconds. Accelerating from naught to 124 should take 8.4 seconds versus the standard model’s 8.6 ticks, but note that these figures depend on how good those Dunlop tires are. 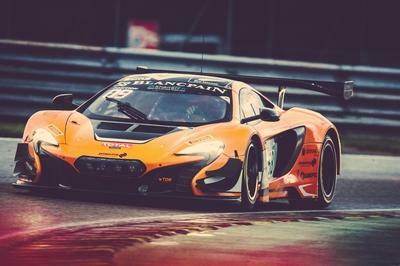 The standard 650S comes equipped with Pirelli P Zero Corsa tires. Fab Design didn’t release pricing information for the VAYU RPR package, but, judging by the number of updates inside and out, it won’t come cheap. The aftermarket is packed with tuning shop waiting to get their hands on your stock supercar, including the Lambo Huracan, one of the 650S’ main competitors in this niche. There’s a wide range of upgrades available for the Huracan as of 2015, but since Fab Design’s 650S kept its standard drivetrain, I’m going to go with DMC’s "Affari" package, which also leaves the engine untouched. Visually, the Huracan’s front section got a significant makeover by means of a new bumper and splitter for improved downforce. Out back, DMC added a new rear wing, a base spoiler, and a redesigned diffuser. As with most aftermarket packages, the Huracan also received a unique set of five-spoke, forged alloy wheels measuring 20 inches at the front and 21 inches at the back. Inside, DMC created a bespoke look using new leather and Alcantara surfaces, as well as a bevy of inserts and DMC-branded features. Soon to be replaced by the 488 GTB, the 458 Speciale is yet another Italian supercar the McLaren 650S has to go against on both the street and the track. Although the standard car is as exciting as it gets, Novitec’s aftermarket package takes the Speciale’s fantastic skills up a notch. The body kit adds a new spoiler and blade in the front bumper, while the rear end gets carbon-fiber moldings, a new rear wing, and a carbon-fiber diffuser with an electrically adjustable center section. Polished silver paint and gold wheels at all corners round off the exterior. 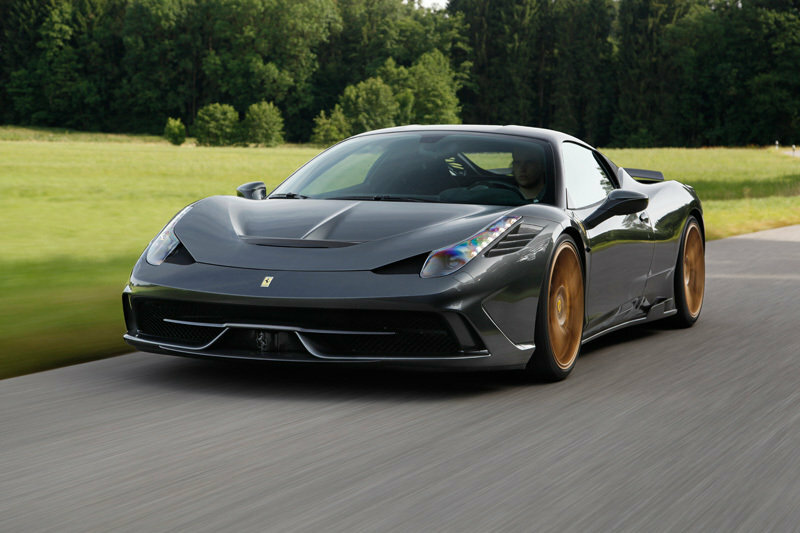 But Novitec’s program for the 458 Speciale also includes a number of high-performance drivetrain upgrades, such as new manifolds, catalysts, and rear muffler. The new exhaust system, which is made from Inconel (the same material F1 manufacturers use for their exhausts), bumps the V-8 engine’s output from 596 horsepower and 398 pound-feet of torque to 627 horses and 422 pound-feet. 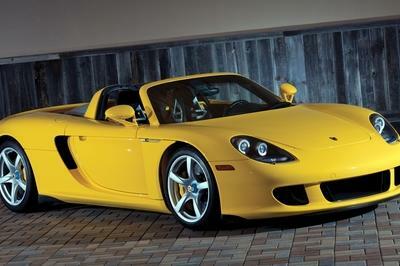 That equates to a faster 0-to-60 mph time of under three seconds and a top speed of 205 mph. The tuning scene has evolved quickly in the last decade, incorporating a wide range of car segments and offering anything from mild enhancements to extreme upgrades that can turn the most common sedan into a drag-strip rocket. With that much diversity, it’s easy to find packages that stand out. However, only a handful of them shine without being too extreme. The VAYU RPR is one such example, as it takes the 650S’ design to a whole new level while still keeping it recognizable as a McLaren. It is both unique and tasteful, and the fact that it can be applied to the MP4-12C, which is no longer in production as of 2015, makes it that more captivating. Vayu – this is the name of a Vedic God with regard to the wind, the air and life. His attributes are his unrivaled speed and his peerless beauty. Attributes which have been transformed by FAB DESIGN with the VAYU RPR Spider in a perfect way no one else can do. And the target audience is clearly defined: This individualization offers all owners of the legendary McLaren MP 12C (Coupé and Spider) not only the individualization as such, it also offers the optical alignment to the successor McLaren 650S in one go. This optical alignment was achieved first and foremost through the application of new headlamps which have been become standard when the 12C changed to the 650S and the 650S got the same look as the McLaren P1. So each customer does not only get his wish of an individual car satisfied he will also get a perfect adaption of his car to the family look of the latest McLaren models. Customers who are planning to do a conversation with a 650S will nevertheless get an impressive car. A production-series McLaren MP 12C / 650S Spider is already one of the most impressive convertibles one can encounter on city streets; however, next to the VAYU RPR Spider it looks like its poorer cousin. 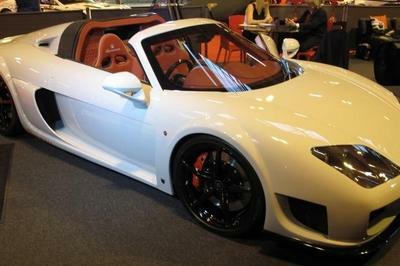 The Swiss high-class manufacturer FAB Design proves again its sophistication when it comes to fine-tuning a super sports car. Starting with the spectacular lift-reducing chassis design, over the moderate power increase, to the elaborate interior design, FAB Design applies all its know-how to this classy two-seater and makes the dreams of its exclusive clientèle come true. The complete aerodynamic redesign by the Swiss specialist comprises wider front and rear wings as well as new side skirts. Enlarged air intakes in the front spoiler bring the visual effects of the VAYU RPR Spider’s front view to a full circle. This emphasises the overall impression of the car and supplies the radiator with additional fresh air. 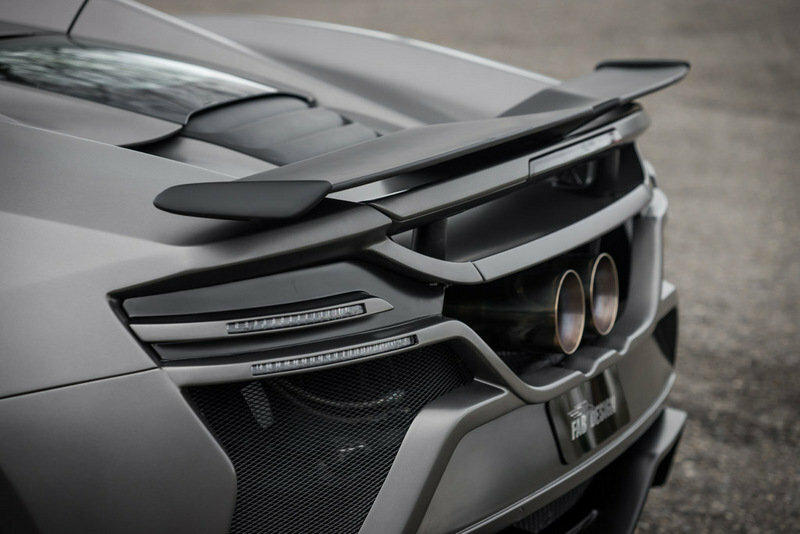 In order to give the VAYU the final touch, the engineers of the tuning specialist mounted a powerful diffuser underneath the new rear spoiler which generates now more downforce as the standard one. At the front axle, the newly designed front spoiler ensures the necessary surface con-tact pressure. The 20-inch rims, EVOLUTION, in connection with Dunlop tyres in sizes 275/25ZR20 in front and 325/30ZR20 in the rear ensure the optimum contact to the road surface. The design of the ultra-light, three-piece forged wheels combines sportiness with elegance and perfectly fills out the wheel houses. With this type of package and the right sound coming from the three tailpipes of the FAB sport exhaust system, which, by the way, adds 32 HP to the engine’s output, makes driving on country roads absolutely pleasurable. YAYU RPR pilots expect a slick, elaborately refined interior, which is nothing short of the exterior.For all interior applications, only the finest materials are being used for the road-ster. The FAB upholsterers use selected leathers for the covering of the ergonomically de-signed sports steering wheel and the new sport seats. The aluminium pedal system spar-kles in the footwell of the cockpit and supplements perfectly the visual carbon components of the interior setting. Precisely hand-crafted embroidered FAB logos in the foot mats and the head rests provide an additional visual focus. Thus, FAB achieved a style that provides the perfect symbiosis between motorsport panache and lifestyle.